business college Archives • A Talking Cat!?! As shown in the Reading is Hard video I created, Tina finds a job opportunity on her beeping machine. 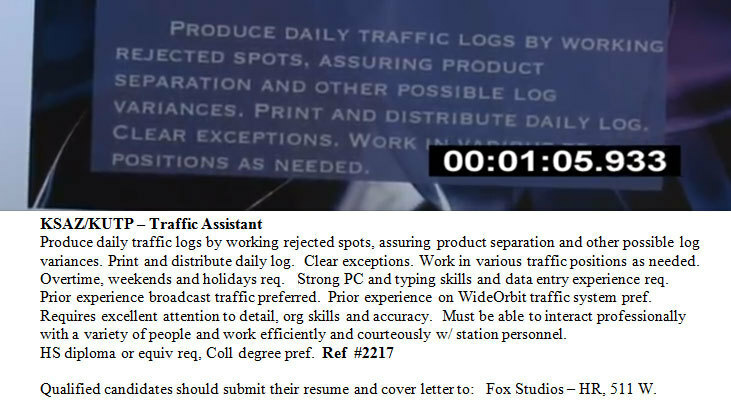 Well, @TheRealAlbrot pointed me towards the actual job description pulled from a FOX affiliate for a traffic assistant. Sorry, Tina. A college degree is preferred. You should really talk about business college some more. That’s enough Phil and Chris for now. 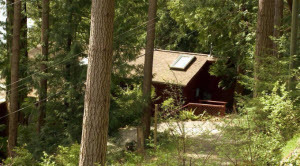 While they’re busy with fractured conversation about cats, girls, and pizza, we’ll visit a cabin in the woods. Or a house in the woods. “Weren’t we just on a beach with palm trees,” you might be inclined to ask. Yes. Yes we were. Welcome to the home of Susan (the mommy), Tina (the daughter), and Trent (the son). Another single parent household, you say? Guess that means Phil and Susan are going to hook up at some point. And they do. The end. Sorry, no. There’s more. We are introduced to Susan, Mother of the Year, as she searches high and low for her shoes. “But she’s wearing shoes,” you might say. You are correct. But these are open-toed shoes and might offend her clients. Susan does run a catering business, after all. Jeez, movie! Slow it down! You can’t move us from a scene with 9 lines total to a scene with actual content. You’ll give us a case of the information bends. Wow! That’s a little harsh. Susan really hates business college. And her daughter. Susan continues, “You’re too brilliant and smart.” Too brilliant smart for business college? Is there something I don’t know about business college? So they don’t have enough money because shoeless catering isn’t taking off. It’s not fair, though, because Tina’s website would make a lot of money. What website? (so many questions, I’m so sorry, everybody) Who knows? She is good at computers though. Because she’s holding a computer. Susan is sure Tina’s website would make a lot of money but mom says she can’t even afford proper footwear. Hold up, MOTY. I thought you just lost your shoes. Are you poor, forgetful, cruel, or a combination of all three? Ahhh, Trent. We’ll get to you in the next update. Six seconds that will convince anyone to watch A Talking Cat!? !